Sell your Samsung smartphone for cash at uSell.com. With uSell's Samsung trade-in, you can get a cash offer for your phone in 30 seconds or less. AT&T Trade-in requires you a new contract purhcase to trade in your phone for bill credits or a giftcard, and it can take AT&T up to 90 days to issue your credits. Let uSell pay you cash instantly with no strings attached instead. 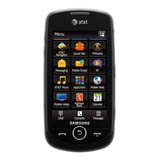 Start by selecting your brand of AT&T cell phone from the list above. If your phone is from a different carrier, go here to get an offer for it. Lock in a top offer for your device and we'll keep your price good for 30 days. Then send in your phone for free using our postage-paid shipping kit. After you send in your smartphone, we will inspect your device and, as long as it matches your description, we issue you payment via check or PayPal.